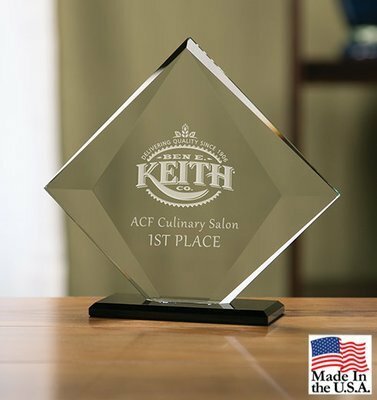 Crafted of thick beveled starfire crystal, our Black Diamond Award is a widely beveled award that features a contrasting black crystal base. Appealing to the eyes, this smart-looking award is available in three sizes and packaged in an attractive gift box. Proudly made in the U.S.A.